This is part one of a continuing series on forces that should affect the value of Bitcoin, but that are not gaining widespread attention. It was co-written and researched by Davis Marklin. Should the true price of your Bitcoin (BTC) be $12,000 or more? Thanks, but no thanks lost coins. Where Have My Coins Gone? Picture a young college student named Sarah, circa 2010. Intellectually curious and disenfranchised by the great recession she stumbles upon the concept of mining Bitcoin (verifying transactions and in return receiving bitcoin). With nothing more than dorm room electricity and a laptop, she became a miner. Running the program in the background she amassed (hypothetically) 1,000 bitcoin, today worth $6.5MM. However, in 2011 when her computer broke, she couldn’t even buy a beer with those coins. They had little value and even less of a liquid market. So she sent her busted computer to the landfill with no regard, a $6.5 million mistake she would not realize until 2017. Unfortunately, her decisions, completely irreversible, resulted in those coins being lost for eternity. This should have changed Bitcoin forever. Why? Because the total supply should now be 20,999,000. All of these situations result in BTC that are again, lost, forever. BTC Price = Market Cap/Number of Issued Coins. On the reverse, Market Cap = BTC Price*Number of Issued Coins. Unfortunately, without considering the plight of Sarah we are fundamentally calculating the price of BTC incorrectly or blindly. We need to reset the denominator in the equation. BTC Price = Market Cap/(Number of Issued Coins – lost coins). On the reverse, Market Cap = BTC Price*(Number of Issued Coins – lost coins). By not resetting the denominator, supply and demand economics becomes imperfect. The most simple pricing methodology is used incorrectly, affecting price discovery across the entire market. It should be noted, there are other methods that the community argues should be used to calculate the price of BTC. However, the complexities of these ignore the way many institutional investors value assets and retail users understand valuation. The above list and corresponding graphic show why Bitcoin is not currently utilized as a transaction method (currency) or an investable asset. Although it has recently stabilized, the market has lost nearly 70% of its value since December 2017, daily prices can fluctuate by 40% with no apparent rhyme or reason, institutional investors remain on the sideline, and even the most “experts” cannot agree on price action. Putting this in everyday terms, think of, the Christmas season. Upon obtaining your Christmas bonus, heading out a few days before Santa arrives. The night before you have counted all your pennies. In the early morning you set out to purchase that last minute gifts then later in the day, heading home, not being able to completely fill your gas tank – that is the status of Crypto. So how do lost coins attribute to this problem? Clearly we have demonstrated volatility is a major issue in Bitcoin’s plight to be a global currency, used in daily transactions. However, the volatility problem, a direct bi-product of imperfect math attributed to lost coins often brushed off as a characteristic of a nascent market, may be even worse than it appears. Imagine buying a rare, highly coveted car. Of which, only 1,000 were ever said to exist but a significant portion have been wrecked and sent to the dump, without any recording. The price of your car should increase as each car is wrecked, however the an uncertain denominator causes significant value instability, leading to inaccurate price discovery. Economically speaking, a finite supply contracting further, should adjust the market (likely in a positive way). A lost or burned coin (contracting supply) would therefore directly impact the market capitalization of the coin. 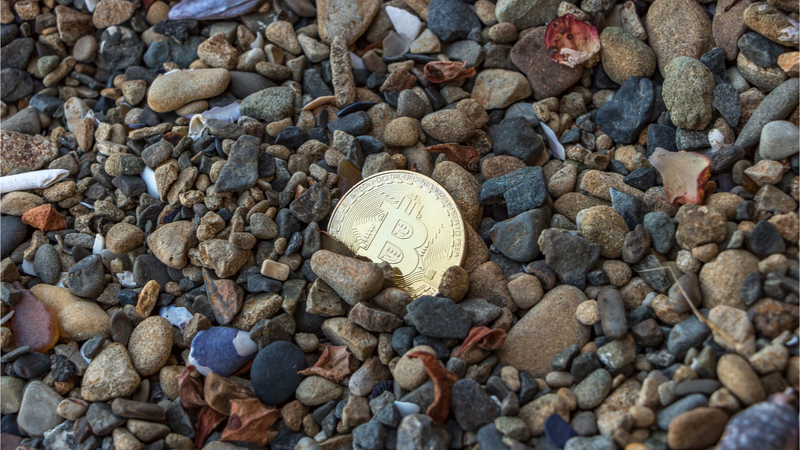 However, for Bitcoin where coins are being lost every day, there is no auto-correct feature and further, we don’t know how to officially track lost coins – making price discovery even more difficult. The first issue then is quantifying how many have been lost? Now, according to best guesses, an estimated 5%-40% of the BTC currently in circulation cannot be accessed. A 2017 report by Chainalysis attempted to quantify 3.7 million coins as officially lost. Unfortunately, that study (a detailed approximation) gained little traction in changing how we view the total supply and, therefore, no impact to price and volatility. The practice of quantifying the amount is much needed. Skimming through the internet to find stories such as one man losing ~$127 million (now worth ~70MM in 2017, is something the community should do daily. With that said, the quantification of lost coins has not gained significant traction in the community. We therefore aim to provide as a primer, how BTC would be adjusted if we attempted to account for the approximate lost coins. Given that the market is currently priced on the total coins issued, many agree that ~20% have been lost, and the highest estimate is 40% of BTC are lost we have provided 3 different scenarios to try and explain how the market should be priced. The most shocking results from the analysis show that the price of 1 BTC could go from $7,500 to $12,000 or the total market cap (shown to be the vitally important metric for understanding the size and strength of an asset) could fall by $50 Billion. Findings 1 – How Many Coins Exist? From our assumptions we started off by calculating what the supply of coins should actually look like in 2018 and in 2100 in the different scenarios. Ancillarily a unique consideration is if 20% of coins are lost then the Total Supply Available by the year 2100 is roughly equal to the amount put into circulation today. Going one step further (yet still highly superficial), we calculated what the price of one Bitcoin or the market cap would be if all lost BTC were accurately tracked. What we’ve seen here is that the market values Bitcoin with incorrect data. Currently, investors use sites such as coinmarketcap.com, which utilize the rule for determining “circulating supply”, and provide pricing decisions about cryptocurrency valuations. What is needed however is an agreed upon mechanism to more accurately track the “real” supply of Bitcoin. Not doing so, may continue to preclude institutional investors from participating in the market in a meaningful way and retail users may be scared of volatility. This is the first step to work on solutions to smooth out the volatility and make Bitcoin a transactional currency. This article series on valuing Bitcoin is co-authored by Alex Mortberg, Davis Marklin, and Alec Shaw. This article series is a co-production of Digital Asset Advisors and the Marquette University Blockchain Lab. Stay tuned for part 2 of our series on the impact of Bitcoin Forks. Paul Monsen is the Co-Founder of Digital Asset Advisors, a full service Blockchain and Emerging Technology consulting firm. He is also an active project contributor to Slice.Market the cross border solution to investing into institutional US commercial real estate. Since 2014 he has facilitated over $1 Billion of transactions across commercial real estate and early stage technology companies. He is a board member of the Marquette University Blockchian Lab and active speaker on Security Tokens, Tokenomics, and the applications of blockchain into existing business models.